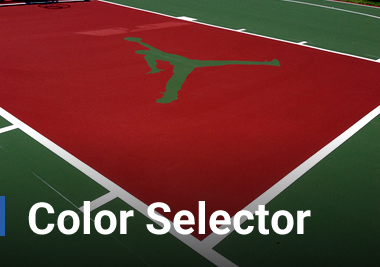 The below specifications can be applied to indoor or outdoor asphalt surfaces. For courts with cracking and minor wear where a warranty on reoccurring cracks is not required. For courts with cracking and minor wear, where a warranty on cracks is required. For courts with sever peeling or blistering and cracking where a warranty on reoccurring cracks is not required. For courts with sever peeling or blistering and cracking, where a warranty on cracks is required. For courts with high volume of cracking, minimal “birdbaths”, and other surface failures where pavement ends before fence line. For courts with high volume of cracking, minimal “birdbaths”, and other surface failures where pavement extends past the fence line. 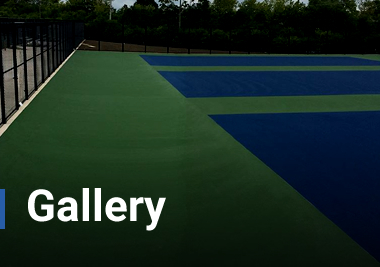 For courts with cracking, limited surface drainage following a rain, and other surface failures. 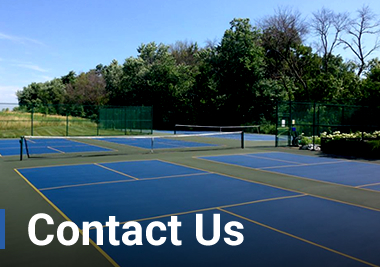 For NEW courts or surfaces and fence beyond repair.